Europe's first on-console show FirstPlay will launch its first weekly episode on Thursday April 8 on the PlayStation, bringing high definition video reviews and previews every week, plus exclusive downloadable content and much more. Brought about by TechRadar's publisher Future, FirstPlay will be available to UK gamers through Sony's PlayStation 3 console from the PlayStation Network for 99p an episode or £8.99 for a 90-day subscription. 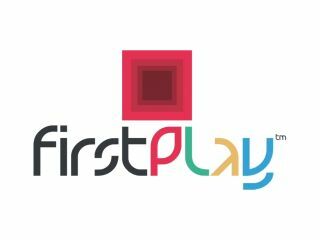 Tim Clark, Editor-in-Chief of FirstPlay, said: "We're tremendously excited to be finally launching FirstPlay, and to be bringing our brand of editorial direct to PS3 owners on their consoles. "It will be an evolving service, but our focus will always be showing gamers the most exciting things on PlayStation systems," he added. Highlights in the first episode include a review of Just Cause 2 – rewarding viewers with an exclusive in-game item for use by Rico Rodriquez as well as Sony's God of War III – and a first-look at EA's Fifa World Cup 2010. Plus, there's an interactive gallery function, including screenshots and artwork from Formula One 2010, Ghost Recon: Future Soldier and Red Dead Redemption. "Gamers can use each image as an XMB background wallpaper and also find out more about the games thanks to the accompanying audio captions," add the press release. "With a vast variety of content available through the PlayStation Network, FirstPlay's Network Highlights section brings a round-up of the latest PlayStation Minis, films and digital comics in a weekly package."